Mary Baker Eddy’s groundbreaking book, Science and Health with Key to the Scriptures, was first published over 135 years ago. For more than a century, this book has met humanity’s increasing demand for a more spiritual understanding of health, a better basis for lasting relationships, and a greater sense of security and peace. Around the globe, people are finding answers in Science and Health, and their lives are being enriched, transformed, and healed by its message of practical spirituality. The value they place in this book is seen in the outpouring of love and gratitude that impels them to share Science and Health with others. 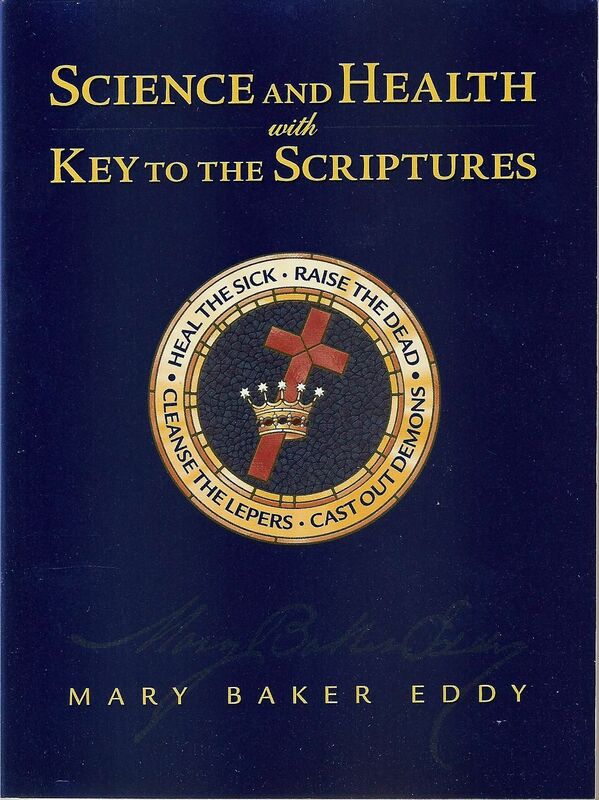 Science and Health is Mary Baker Eddy’s primary work and the definitive textbook on Christian Science. It explains the scientific laws behind the teachings and healings of Christ Jesus. From the first chapter, “Prayer,” to her exegeses of Genesis and Revelation, the author invites readers to deeply consider the allness of God, the perfection of man as God’s spiritual creation, and how an understanding of these facts brings healing—just as it did in biblical times. For over 135 years, readers have testified that reading and studying this book has given them a spiritual sense of the Bible and their permanent relationship to God, and has also resulted in physical healing and spiritual uplift. Since the first publication of Science and Health in 1875, its readers have testified that reading and studying this book has not only given them a spiritual sense of the Bible and a clearer recognition of their permanent relationship to God, but has also resulted in physical, mental, and emotional healing. Letters from readers that testify to healing from simply reading the book can be found in the last chapter of Science and Health. Available in multiple editions and formats, as well as in 17 languages and English Braille, the book is dedicated to thinkers and “honest seekers for Truth” (Science and Health, p. xii). Published testimonials in Christian Science publications illustrate the life-changing power of the book’s ideas. These include emotional, physical, and mental healings. Testimonies of healing can be found at christianscience.com and in magazines such as The Christian Science Journal and Christian Science Sentinel available at Christian Science Reading Rooms worldwide. Science and Health is available on line from christianscience.com and in Canberra from the Christian Science Reading Room and Bookshop on the corner of Macquarie & Bligh Streets, Barton, and from local libraries.